"God Made Madhya Pradesh Beautiful. Madhya Pradesh (MP), often referred to as the 'heart of Incredible India' owing to its location in the centre of India is the second largest state of India in terms of area and the fifth largest, in terms of population. As a state, MP boasts of being a mixed bag of well known destinations and certainly has a lot to offer to an avid traveler. It has without doubt left a great lasting impression on us. Catch a glimpse of this wonderful state through our lens. Summarized below are ten of the most notable facts and the best ones we experienced during our journey. 1. Roads - The state of MP probably has the best of roads in India and surprisingly is one of the few states wherein the state highways, major district roads and village roads are far better than the National highways. 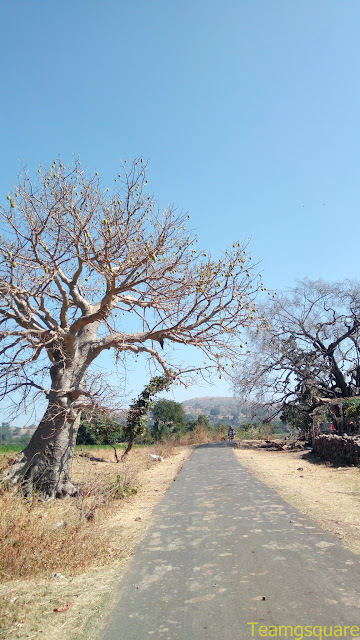 Two of our most favorite stretches were the four laned 140 km stretch of state highway connecting Dewas to Bhopal and the two laned 105 km stretch of major district road connecting Saleha to Tigawa. Driving across MP was thoroughly enjoyable primarily due to its good roads. 2. 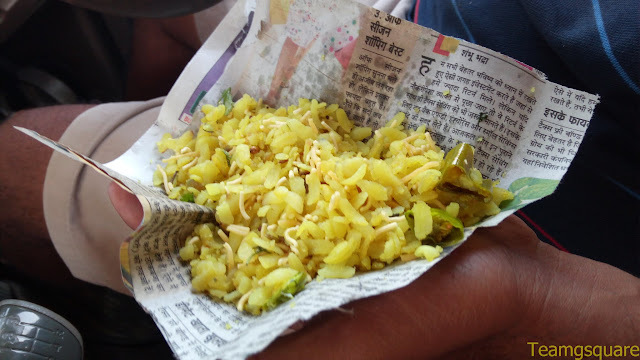 Food - POHA (flattened rice) and Jalebi (saffron colored sweet coil) branded as the national food (intentionally called so) of Madhya Pradesh as they have it on all occasions of break fast, lunch, snack and dinner . Invariably, all road side eateries serve only Poha, Jalebi along with its savory and snack counterparts of Samosa/ Kachori and Sev, at all times. 3. History - The history of MP dates back to the Mesolithic period (as per artifacts found in Bhimbetka), early Buddhist era (Stupas of Sanchi), early Hindu temple architecture (Tigawa, Nachna, Ashapuri), Medieval temple architecture (Bateshwar, Gwalior, Khajuraho), Jain architecture (Gwalior, Pathari, Khajuraho), Islamic architecture (Mandu, Chanderi), British architecture (Asirgarh, Raisen), Cenotaphs (Orchha, Gwalior, Shivpuri) and freedom struggle for Indian independence. As per legend, Lord Rama and Sita spent most of theirs years of exile in their 14 year exile period in Chitrakoot (now in state of Madhya Pradesh). In most of the places we traveled, we always found and explored other lesser known places that played a significant role during the reign of various kings and dynasties. 4. Wildlife/ Nature - Undoubtedly MP is a state blessed with natural wealth and wildlife, and popular among the tourist population for wildlife sighting, especially the Royal Bengal Tiger. A wide variety of wildlife can be sighted in the national parks of Bandhavgarh, Panna, Pench, and Kanha and in the sanctuaries of Satpura and Chambal apart from other smaller reserves. Sighting wildlife came easy to us as we spotted a fox, jackal and wolves on different nights during our travel across this state (national parks or sanctuaries not being a part of the roads we traveled). Our sighting of Vultures at Orchha, Indian Skimmers at Chambal and the lovely Peacocks with their families at Bateshwar will always remain close to our hearts. 5. Rivers - Many rivers flow across the state, with Narmada following the longest path, Chambal being the cleanest and Shipra being the holiest. All rivers were flowing with glory and pomp owing to the good monsoons of last year. Being one of the water rich states of India, MP enjoys vast stretches of fertile land. 6. Agriculture - The vast stretches of agricultural lands that MP encompasses were dedicated to rabi crops owing to the current season, mostly Wheat, Mustard, Bengal gram (Channa) and Tur. The state's predominant dependence on agrarian economy was clearly evident even on the out skirts of major towns like Bhopal and Indore, where the agricultural lands were filled with standing crops. Thanks to them because of which we were always surrounded by greenery. 7. Tourist Infrastructure - True to their tag line "God Made Madhya Pradesh Beautiful. We made it comfortable", the tourism department of Madhya Pradesh has done a very credible and appreciable job in providing the best infrastructure possible and surely deserve all the applause for their commendable work. From accommodation to providing tourist information along with all other necessary facilities for tourists across all locations were perfectly managed by the tourism department. This is definitely something that every other state in India can learn to follow. On the flip-side, most the information boards with regards to directions and distance were seen in the language of Hindi, which would hinder or rather make it more difficult for foreign tourists and travelers from the southern most region of India to navigate around. 8. Diesel Pricing - Strangely, the only hurdle during our road trip was the high priced diesel in MP. They were presumably the highest compared to the other states we have traveled across. Apart from their high prices, its variation was drastic across the state. While diesel at Indore was priced at Rs 62/- per liter, the same was Rs.67/- at Nowgaon, Chattarpur. This difference is quite high when compared to all the other states we've traveled, where the maximum difference was less than a rupee. 9. Bus Rapid Transit - Indore and Bhopal are two cities in MP where the BRT system has been successfully implemented. Very few Indian cities have this system of separate lanes for buses. It was good to witness that this system was being followed very strictly, not interfering with other travelers on road. 10. People - The locals were very kind and helpful in many ways. 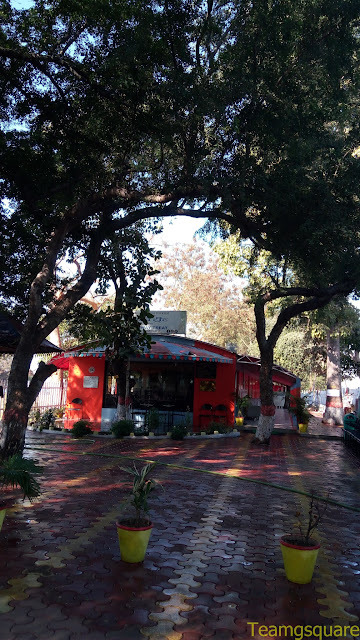 To quote an instance, while we decided to stop by at a particular place for breakfast in Chanderi, we had to reverse our vehicle and while doing so, a biker collided at the rear end of our vehicle. Though it was not a serious collision, the biker tried to exaggerate the entire incident, seeing which the locals gathered in order to help us as they were aware that the fault was not ours. They assessed the situation and convinced the biker to just move on as nothing serious had occurred and politely told us to carry on. We were thankful to them and just wondered how people elsewhere would have behaved in the same situation. That apart, in most of the places we observed that people minded their own business and seemed least interested in others. Also, there was selfie madness everywhere with people being engrossed admiring their beauty. This blog post will be followed by a series of posts under 'MP Diaries'. Nice overview of the travel. Beautiful pics too. nice coverage... I want to go back there. Very nice description and v good photography I have not visited visited MP as such so looking forward to your posts. Your post motivated me to almost pack my bag and leave to MP immediately...:-( But my desk job! Very nice tour of the State. Lovely post. Look forward to more stories. This looks like a wonderful area to visit. I look forward to seeing more of your photos from MP. Beautiful place to visit! The photo of Badal Mahal,Chanderi captures my eyes. There is some issue with the id. I wished to discuss an idea with you and share a proposal. Please contact me at aditya@wadersgroup.in or 8604696969 anytime. This is really fantastic post.